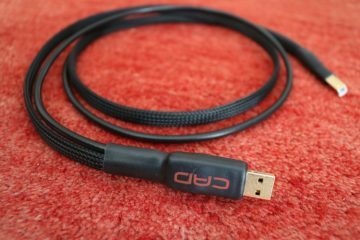 For reviewing the EC Designs Mosaic T DAC I was looking for a quality mini jack to cinch cable. As it turns out, AudioQuest offer a wide range of these as part of the Bridges & Falls series. 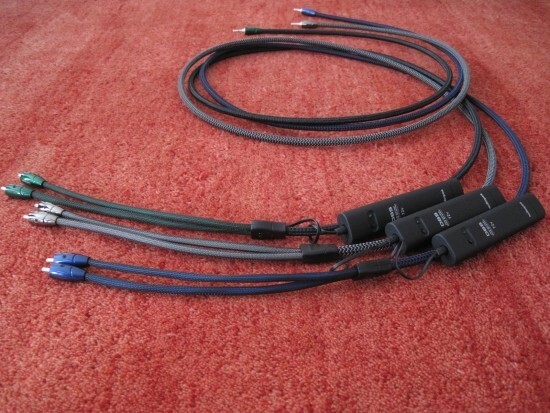 The nice thing about this series is that both left and right signal conductors are unified in the same jacket, making for an efficient cable with a clean look. From the Victoria and up, you can specify custom leg lengths. Because the Mosaic DAC only offers a mini jack output and I was looking to avoid an adapter cable, I requested 3 review models with extra long legs. 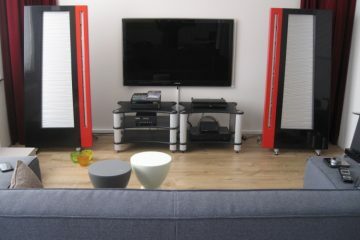 Please note that AudioQuest does indicate that the shorter the legs are, the better the DBS can do its work. 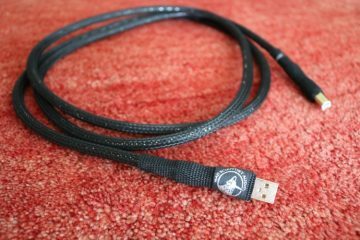 Victoria is the most affordable AudioQuest mini jack cable that can be specified with custom leg length. This is important in situations where the left and right inputs on the (pre-) amplifier are separated. This is the case in both my reference setups where I employ Jeff Rowland preamplifiers with strictly separated left and right input sections. The stylish blue finished Victoria may be affordable, but it is finished to a very high standard. 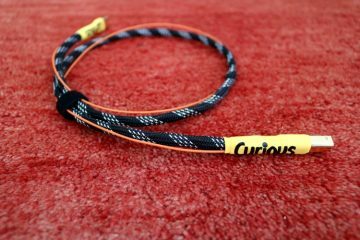 It employs solid perfect surface copper+ conductors and has PE air-tube insulation. 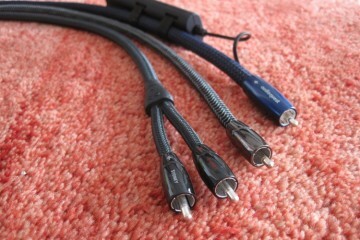 Connectors for al three cables are the same: cold-welded direct-silver plated pure red copper. The Victoria sounds refined, and uniform in balance. It is not very outspoken, but also not overly restrained. Timbre seems good, until you pay particular attention to piano notes, which seem to lack body and scale. The Victoria’s bass is nicely integrated and neither flabby nor overly tight, but it is not of the most powerful kind, nor is the midrange very expressive. Apart this however it doesn’t seem to do anything wrong. That is, until you start comparing to the next model up. 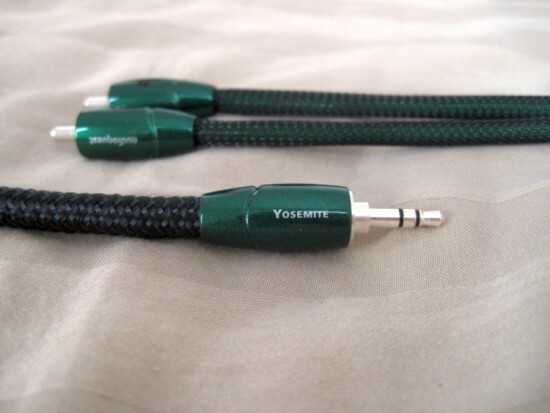 Yosemite looks a lot like the Victoria, but is finished with green sleeving and green connectors. Like the Victoria, it employs solid perfect surface copper+ conductors but has FEP air-tube insulation. 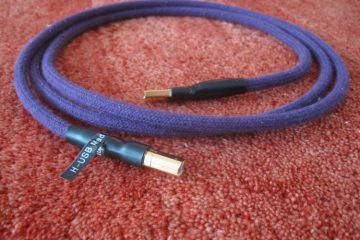 This may seem insignificant, but I already experienced a big difference on this aspect with AudioQuest cables in the Elements series. Connectors are cold-welded direct-silver plated pure red copper. Yosemite is voiced in the same direction as the Victoria, but there are subtle yet worthwile differences. 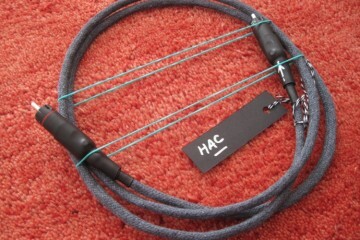 For starters its bass is a little more powerful and the cable sounds overall more expressive and colourful. More importantly its lower midrange has more accurate timbre, and indeed piano notes carry more weight and sound more convincing. 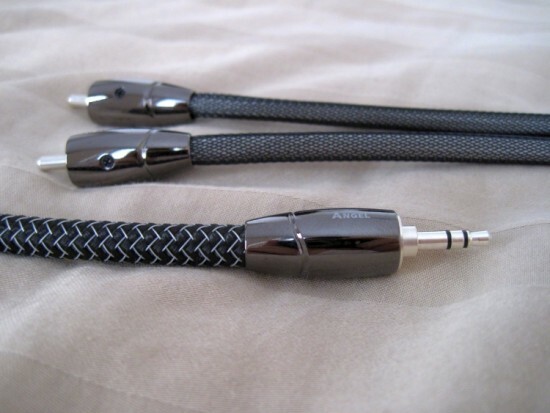 Angel is the top level cable from the Bridges & Falls series, evidenced by the fact that it employs solid 100% perfect surface silver conductors. Like the Yosemite, it has FEP air-tube insulation. Connectors are cold-welded direct-silver plated pure red copper. Being the top model of the series I expected a lot from the Angel. The Angel does sound more refined than either of the lower models. 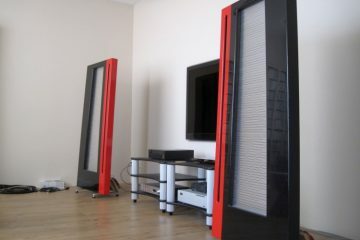 It has more airy treble, better low level resolution and an overall more coherent sound. However, its bass reminds of the Victoria’s bass by being less powerful than the Yosemite’s bass. Also, and perhaps linked to this, the lower midrange also sounds less acoustically convincing, again mostly obvious with piano notes, which lack some body compared to the Yosemite. Then again, switching back to the Yosemite reveals that cable as being less refined overall, and that’s also difficult to get used to again. 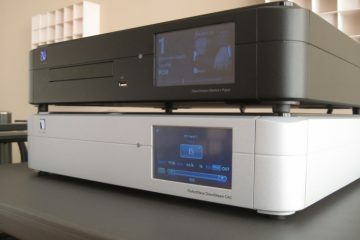 Above: AudioQuest Victoria connected directly to the EC Designs Mosaic T DAC. 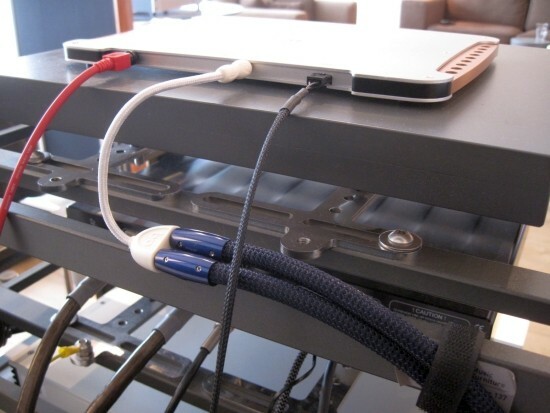 Above: AudioQuest Water connected to the EC Designs Mosaic T DAC via an AudioQuest FLX-Mini/RCA Adaptor cable. The Bridges & Falls series starts pretty good and quality gets better if you move up. If I should pick a winner of the bunch then I’d go for the Yosemity for offering the best value for money. Neither of the 3 cables do anything obviously wrong, they just don’t do certain things that I do expect. Ironically, if I hadn’t reviewed the AudioQuest Elements series, I probably would have been more positive. It’s just that when comparing the Angel, which is the best of the Bridges & Falls series to the more affordable Water from the Elements series, even with a mini jack – cinch adapter cable, the latter sounds a lot better – on all accounts, refinement and resolution included. Most striking aspect is the Water’s Live and Kicking, unrestrained sound. 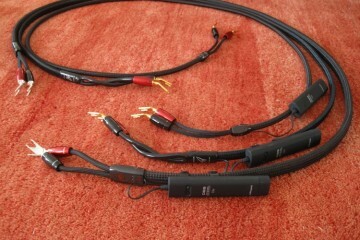 It has more powerful bass and lower midrange, and sounds timbrally more realistic than the Bridges & Falls series cables. I think that if anything, this comparison shows that one cannot underestimate the importance of the dielectricum and geometry of a cable. Conductor quality sure is important, but it isn’t the only deciding factor for its sound. 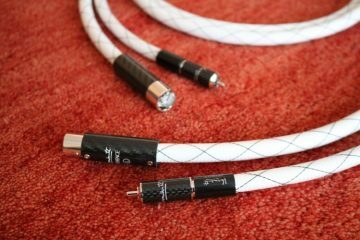 Something else to consider is cable flexibility and connector compatibility. The Bridges & Falls series cables are (also) meant tu be used with portable devices, where it is important that a cable is easy to handle. 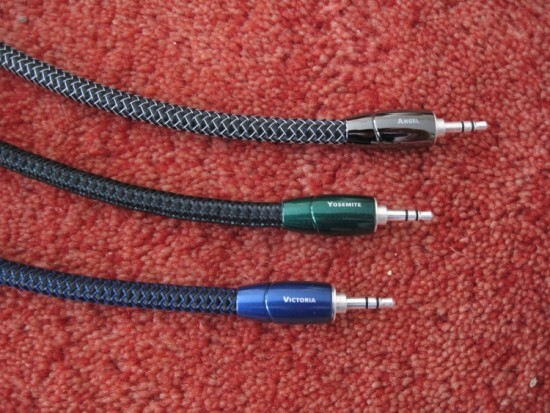 All 3 cables are very supple and can bend easily but the Water is pretty stiff, and due to its large diameter it also cannot be supplied with mini jack connector. With the mosaic dac, which ICs will you choose between the AQ victoria, AQ sydney and Kimber PBJ? I would use PBJ for its more articulate and lively character. That’s a tough one. To be honest this depends on the implementation, but RCA has the potential of sounding better through the use of better materials. Ultimately I’d go with RCA if only because that is a more standard format. In your photos you are using the AudioQuest Mini-FLX mini to RCA adapter. That adapter isn’t using their best rated materials. It uses PSC+ but has inferior shielding, doesn’t say whether it uses cold welded plugs or what type of metal is used under the gold plated mini plug or RCA connectors. 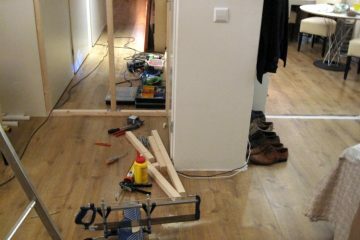 Considering it only costs about 20.00 USD, I am willing to bet it is using their base get-the-job-done components. In fact, it is a discontinued product. Therefore, I have some reservations about how you reviewed the Victoria et al if you plugged into that splitter. 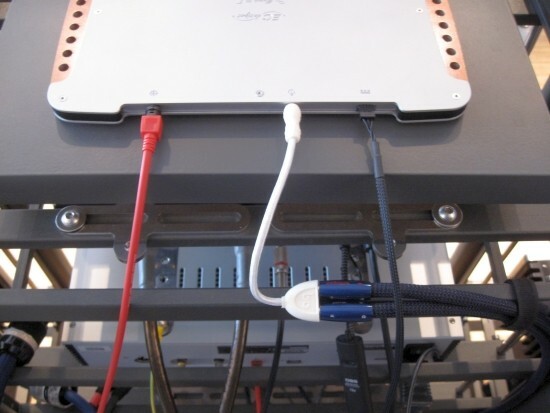 I have that same splitter but have it going from a Blutooth Stereo gateway and connecting to AudioQuest Ruby X3 interconnects. I have purchased the Victoria to replace the Mini-FLX and Ruby X3. Any time you go from one connector to another, you have signal loss and degradation. Also you aren’t following the same geometry. 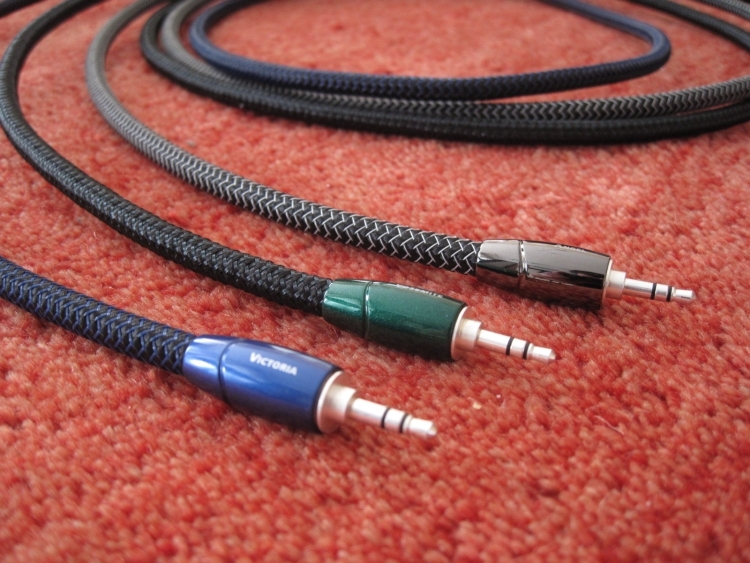 By using one complete cable, you are more accurately able to determine the sound components. So I have to wonder if the differences in sound quality wasn’t caused by the Mini-FLX. I understand your concern and am well aware of the potential harm caused by transition through successive (different) contact surfaces. 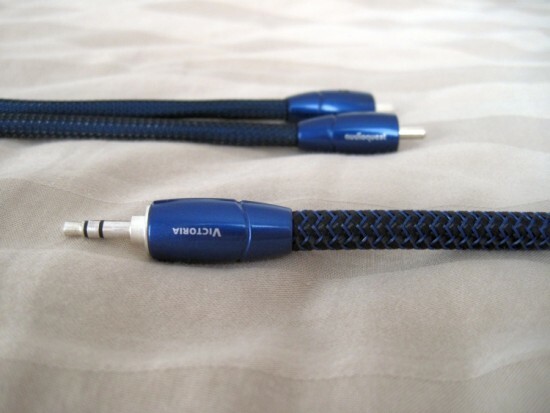 However, the Mini FLX adaptor was only used for the Water interlinks, not for the others you mention, which were integral minijack to cinch cables. In any event the Water was found to outperform the other cables in some respects, in spite of the extra adapter in circuit.